Do I Need Cocaine Rehab? Is There Cocaine Treatment? Cocaine abuse is a widespread problem. According to the National Institute on Drug Abuse (NIDA) cocaine users account for 13% of all admissions to drug treatment facilities. A majority of these individuals struggle with other substance addictions as well. Don't Wait for Recovery If you think you have a problem, it is likely that you do. You don't have to continue suffering alone. Find treatment today. If you know you are suffering from a cocaine addiction, determining whether you should go through a rehabilitation program depends on a complex set of factors, which could make withdrawal and recovery more difficult for some people. If you are using cocaine in addition to other substances--like alcohol--withdrawal can be a long and difficult process, and it could even be dangerous without medical supervision. Furthermore, recovering from multiple addictions at once can increase the risk of relapse. Polydrug addiction is also associated with other co-occurring mental disorders that, if left untreated, can further complicate the recovery process. Research indicates that polydrug use is associated with increased participation in high-risk sexual practices and therefore, increases the chances of contracting diseases with a sexual route of transmission, including HIV and certain hepatitis viruses. Depending on the potency and route of administration, combining multiple substances can suppress the immune system and cause severe cognitive deficits--requiring specialized care during detox, withdrawal and recovery. Low social stability or limited access to social support could increase the risk of relapse for some users. Conversely, many studies have indicated that--for some individuals--access to social support can effectively decrease the risk of relapse, potentially making rehab a safer choice when compared to other alternatives, such as outpatient programs. Rehab may be the best option for people who have found other types of programs to be unsuccessful at helping them manage their addictions. People who have been through an outpatient program and experienced a relapse may experience greater success with a rehab program. Different rehab programs will provide different experiences, but many of them follow the same basic format. Intake: Most programs start with an intake process, which includes a physical and psychological evaluation of the patient. 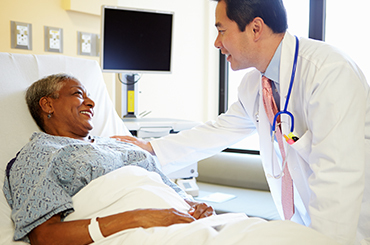 This evaluation will help your doctors get a better sense of the kind of treatment you'll need during your stay. Detoxification: Following intake, the next step is generally detoxification, which is the physical process of weaning oneself off the drug and allowing it to leave the body. Detoxification may be a difficult step for many patients, as it's often accompanied by withdrawal. For cocaine users, withdrawal may include irritability, an increase in appetite, exhaustion or lethargy, anxiety or depression, and intense cravings for the drug. While there are no FDA-approved treatments for cocaine dependence, recent studies have showed the efficacy of N- acetylcysteine in promoting higher abstinence rates from cocaine and reducing cocaine intake. Patients may be prescribed certain medications--including sedatives--to help with withdrawal symptoms during the detox phase. A 2013 study found that a combination of the anticonvulsant medication topiramate and cognitive behavioral therapy (CBT) was successful in reducing cocaine use in some patients with comorbid cocaine and alcohol dependence. Adjunct therapy: CBT is a common component of drug treatment programs, as it's been shown by many studies to help patients cope with their cravings. 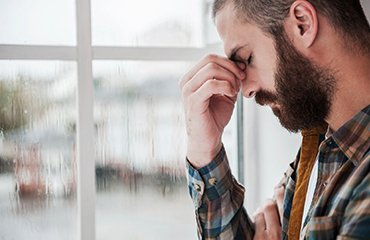 Since cocaine abuse is often associated with other concurrent psychological conditions, such as depression, other types of psychiatric counseling may be offered specifically to help patients with these conditions. Dual diagnosis treatment, which focuses on the patient's addiction and any pre-existing mental health disorders at the same time, may also be an option. Family visits: If you're concerned about the ability to interact with your family during your stay, you may look into your chosen program's policy on visitation. Many programs allow contact with family members during rehabilitation, and some programs even incorporate patients' families into the treatment process. Family therapy is offered at some programs as a way for patients and their families to overcome the effects of addiction on their family dynamics, while strengthening familial bonds. Overall, rehab programs strive to maintain a supportive and positive environment for the patient, focused on managing physical symptoms and cravings associated with withdrawal, helping patients with any concurrent psychological conditions, and providing patients with the strategies they need to cope with their cravings and avoid relapse. To find a cocaine rehab that meets your needs, please call to speak with a treatment support advisor at 1-888-993-3112Who Answers?. Different rehab programs may last for different amounts of time. The minimum stay at most facilities is 30 days. Other programs may last 60 days, 90 days, or in some cases six months or longer. Shorter programs may be appealing to many people, especially those who have work or family obligations they're anxious to attend to. However, the National Institute on Drug Abuse stresses that the success of a program is heavily dependent on patients spending adequate time in treatment. The Institute suggests that programs shorter than 90 days may not be adequate for all patients. In general, research shows that shorter programs are associated with higher relapse rates. It is important to discuss the pros and cons of treatment lengths with a doctor who can properly assess what amount of time may be adequate for your particular case. Rehabilitation isn't always a one-size-fits-all program. In some cases, it's possible to choose a program tailored to a specific social group, interest, or other priority. Residential inpatient programs provide the opportunity for patients to live in a facility with others similarly receiving treatment for their addictions. They often treat many types of addictions in one facility, although some may specialize in particular types of addiction. Residential inpatient programs specifically designed to treat cocaine addiction are an option in some locations. Luxury rehab programs include amenities that other programs may not offer. These may include luxury locations (such as beachfront facilities), private rooms, fine dining, and activities like spa treatments or sports. These types of programs may be popular among celebrities, but as a general rule are open to anyone. Executive inpatient rehab programs cater specifically to business executives. They may include components of private and luxury rehab centers, and their programs may also be designed to allow executives to carry out their work obligations remotely while also receiving treatment alongside other business people. It's also common for rehab programs to cater to specific social groups. Women's programs, age-restricted programs, and LGBT-friendly programs are some common examples. Other programs may center on different treatment philosophies, such as holistic treatment, which advocates treating many aspects of the self, including the mind, body, and spirit. Knowing when to get help, how to choose a program, and what to expect during rehab are crucial for cocaine users seeking help. If you or a loved one is anxious about seeking help for cocaine addiction, call 1-888-993-3112Who Answers? to speak to a treatment support team member about what to expect. Unfortunately, rehab can be very expensive, costing thousands, or even tens of thousands, of dollars. Outside of health insurance coverage, it's important to look into other options that may help you pay for a program. You might consider negotiating a private loan from a family member or friend. If this is not an option, you might consider taking out a public loan instead. An employee assistance program is designed to help employees overcome problems that may affect their work performance. These programs may offer free counseling and health evaluations and could help with the cost of a rehab program, if necessary. You could consider applying for a public, state-funded rehab program. These programs are generally reserved for people who cannot afford a private program. It's important to note that space may not always be immediately available in publicly funded programs. If this is the case, you may be placed on a waitlist until a slot opens up. Does Insurance Cover Cocaine Rehab? 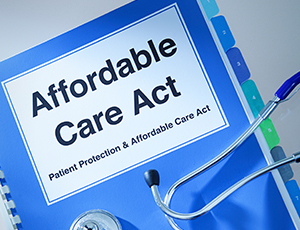 The Affordable Care Act stipulates that health insurance plans must include services for substance abuse disorders. However, the exact services that are included may depend on your plan. What are the provisions related to the coverage? Are there referrals needed in order to receive coverage? Is it necessary to try another type of treatment, such as an outpatient program, before rehab is covered? What is the maximum length of a program the plan will cover? How is the co-payment schedule structured? 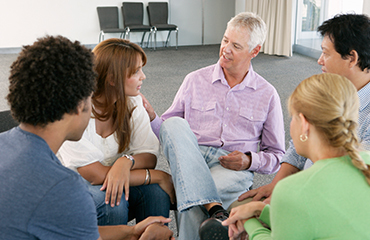 Find a Meeting Support groups like Narcotics Anonymous are great resources for staying sober. Find a meeting today. Rehab programs are designed to give patients the skills they need to manage their cravings and stay abstinent. However, the National Institute on Drug Abuse stresses the importance of aftercare in avoiding relapse. Immediately after leaving rehab, some patients may choose to move to a sober-living house, or "halfway house," which is a residential facility for recovering addicts designed to maintain a sober and supportive environment. Spending time in a sober-living house may help recovering addicts find solidarity in one another and avoid relapse while getting used to life outside of rehab again. Additionally, recovering cocaine addicts who are simultaneously dependent on heroin may be placed on methadone maintenance for months after leaving rehab. Methadone is a medication that is often used to reduce withdrawal symptoms and cravings in people addicted to opioids, such as heroin, and has demonstrated efficacy in reducing cocaine use in people with concurrent cocaine and heroin addictions. Continue psychiatric counseling and therapy sessions as needed. Join social support groups, such as Narcotics Anonymous. Social support, in particular, has been shown by numerous studies to help patients avoid relapse after leaving a drug treatment program. Choosing a rehab program will depend on many factors, and the best program will differ from one individual to the next. Receiving the best care for your condition is the greatest priority. The National Institute on Drug Abuse recommends consulting with an addiction specialist even before entering a program. An addiction specialist may be able to give you a private evaluation and help you make decisions about what resources and qualities should be most important to you when evaluating drug treatment programs. The types of adjunct therapies the program offers. Whether the program will be able to adequately address any concurrent mental health disorders you may have. For instance, many patients may seek out a program that uses the 12-step philosophy, the same philosophy used by Alcoholics Anonymous. Consulting with your health insurance carrier, as well as your employer, friends, family, and financial institutions may help you assess your options when it comes to paying for a treatment program and weigh the pros and cons of extra amenities (such as luxury features) versus their higher price. Finally, considering the length of a program and investigating its success rate may give you some insight into whether it's likely to give you the skills you need to avoid relapse after leaving the program. If you're still worried and interested in additional advice about finding the best program, call 1-888-993-3112Who Answers? to speak to a member of our support team.